Are you seeking a Pennsylvania iLASIK surgeon? iLasik™ is a new brand of LASIK eye surgery that has been pioneered and perfected by AMO/VISX and Intralase technology. Despite the fact that traditional LASIK has helped millions of people see without the dependence on glasses or contact lenses, LASIK was not the ideal procedure. Although most people that had traditional LASIK had no problems whatsoever, ophthalmologists and engineers were eager to enhance this vision correction procedure. With over a decade of research and clinical results, LASIK Doctors and industry experts sought a more predictable solution. iLASIK now provides this solution. By combining CustomVue wavefront technology with VISX™ Star4 active tracking capability and a blade-free femtosecond laser for an ALL-laser LASIK, we can now achieve a safer more precise result. The technology used in the iLASIK procedure has been thoroughly tested and scrutinized by doctors who overwhelmingly claim the advantages of safety and precision. It is clear now that iLASIK truly represents a technological combination unmatched in vision correction. Because the iLASIK procedure has brought together a unique combination of technology that leads to a safer more predictable results NASA has recently approved the Intralase Method. It was not until LASIK was developed into an ALL-LASER method using a femtosecond laser for the cutting of the corneal flap that NASA considered approving LASIK for the eyes of United States Astronauts and space program candidates. The military and NASA together conducted extensive research and thus confirmed the excellent safety record of the Intralase Femtosecond laser. Approximately 17 million LASIK procedures have been performed to date, making it the most common elective vision procedure in the U.S. In fact, all branches of the U.S. military and NASA recently approved LASIK for their servicemen and women, thanks to studies using iLASIK technology. If you were not a candidate for LASIK eye surgery prior to iLASIK you could possibly now be a candidate. Given the wavefront technology and bladeless microkeratome technology additions to LASIK, the doors are now open for some previously unqualified candidates. If you were previously determined to be a LASIK candidate you will most likely also be a candidate for iLASIK. In order to determine candidacy for this procedure please set-up a consultation with a qualified iLASIK surgeon in your area. There are still some conditions that will exclude certain patients from becoming a candidate, however, if you have nearsightedness, farsightedness or astigmatism there is a strong chance that you will be an iLASIK candidate. We understand that selecting a LASIK surgeon in Pennsylvania and getting started with LASIK research can be overwhelming. There are so many LASIK doctors and so many LASIK websites that discuss various aspects of LASIK technology. How is the average person supposed to differentiate between the choices? If you are considering Dr. Campanella has been performing Lasik using the latest proven technology for his LASIK patients for the past 15 years. Dr. Campanella personally evaluates each patient to assess their candidacy for surgery. His LASIK experience is undeniably vast and credible. Peter Campanella, MD, has been a leader in the field of refractive surgery and laser vision correction since the FDA approval of LASIK. For more information regarding the experience and credibility of Dr. Campanella please see his biography page. Conclusion: Why should patients choose iLASIK over other LASIK vision correction options? 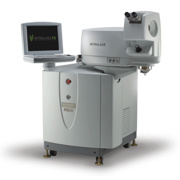 If you are a patient thinking about LASIK, you should definitely consider giving the iLASIK platform a close look because the technological advantages are significant. If you want a safer method for flap creation and if you would like the possibility of corrected higher order aberrations that traditional LASIK does not correct iLASIK is a great option. If you want a vision correction procedure that is customized exclusively for your own eyes, iLASIK is the procedure to select. Remember vision correction can be a lifetime decision, you should consider iLASIK. We would love the opportunity of speaking with you more about the iLASIK procedure and the benefits it can offer you. If you are interested in discussing this matter in more detail please feel free to fill out a contact form and a patient counselor will call you.